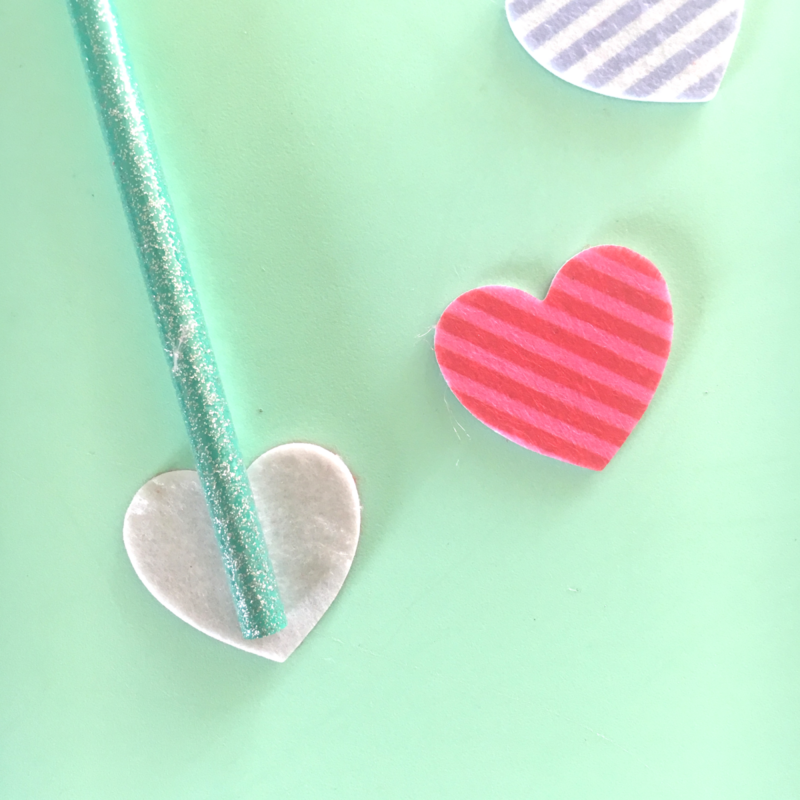 We are making these Cupid's Arrow Valentines for our kids to pass out to their friends. We even made a quiver to hold all the arrows. Make them too! I just love seeing all the Valentine&apos;s Day cards at the store. There is such a selection of them for kids to pick out to give to their friends. But when I was a kid, I preferred to make my Valentine&apos;s Day cards. And I still do. So, I am passing that on to my kiddos too! 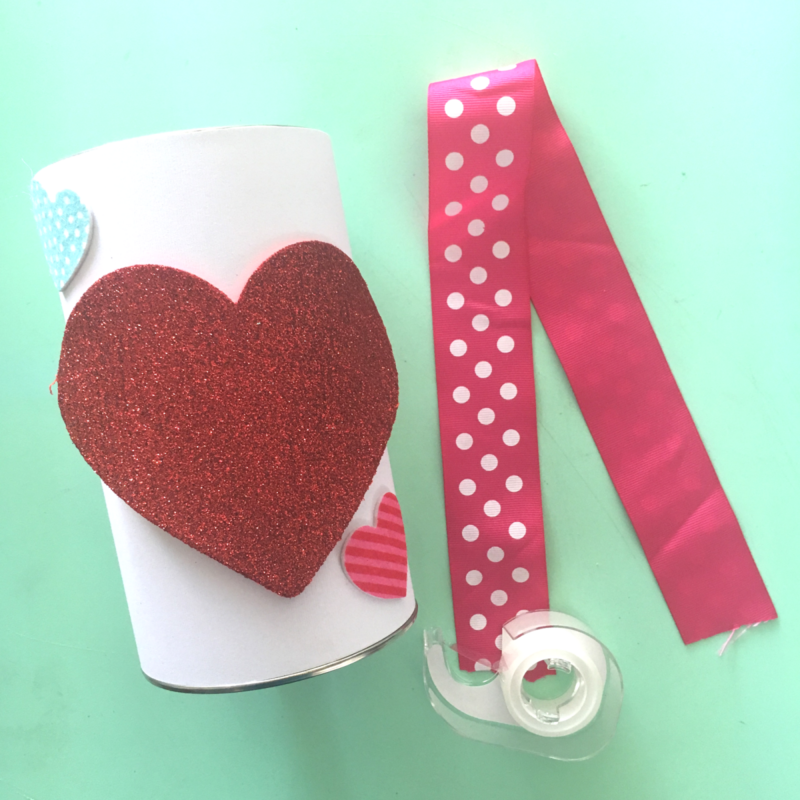 This DIY is not the typical Valentine. We went the cupid arrow route and made a quiver too. It will be so cute seeing my kiddos hand these out to their friends. Step One. 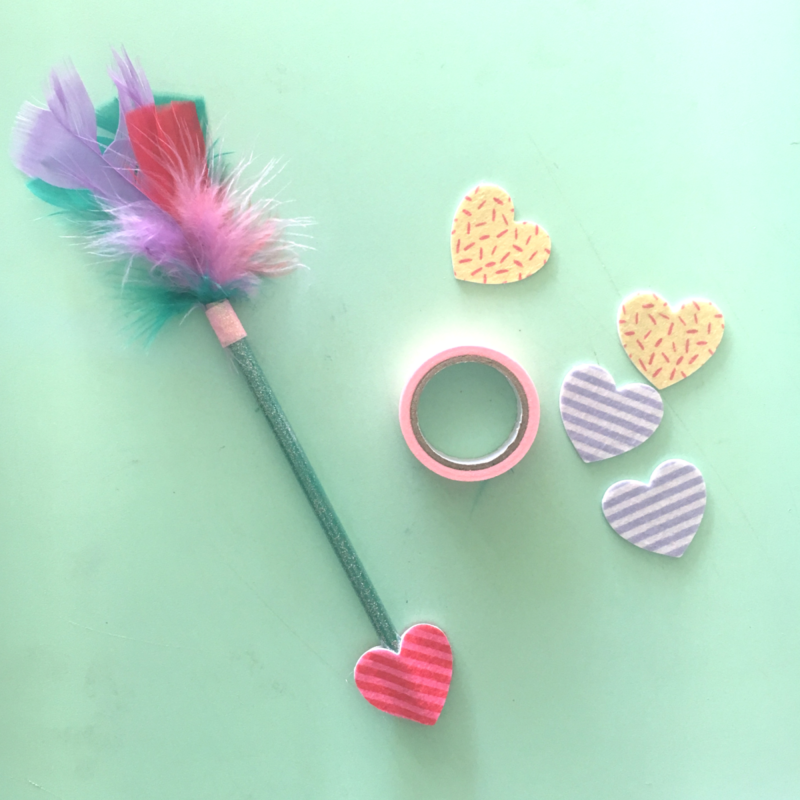 Put a foam heart sticker at the tip of the pencil. Stick another foam heart sticker on the other side of it and press the edges together to form the tip of the arrow. Step Two. Cut a 1.5 inch piece of decorative tape and tape 3 feathers around the eraser of the pencil. Step Three. Repeat steps 1 and 2 for the rest of the pencils. Step Four. Tape white paper to the empty coffee container. Have your child decorate it with the leftover foam stickers and a giant foam heart. Step Five. Cut a strip of ribbon and tape one end to the bottom of the container. I used a few strips of tape to make certain it was secure. Tape the other end to the inside of the container. Step Six. Add a from tag to each pencil. Cut out little card stock hearts. Punch a hole in the upper corners. Write "from (your child&apos;s name)" on each card and tie them to the pencils with baker&apos;s twine. 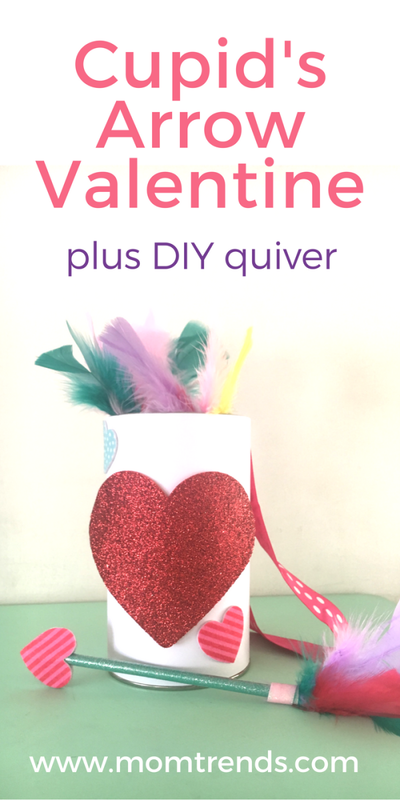 Then, put all the arrows in the quiver for your child to take to their class to hand out on his Valentine&apos;s Day Card Exchange Day. He gets to be Cupid! How fun!